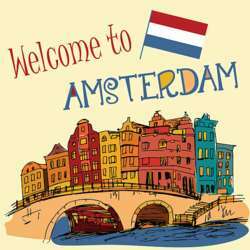 A warm welcome to newcomers of InterNations Amsterdam! 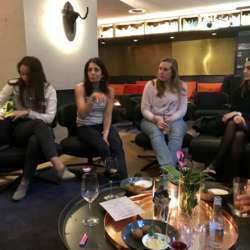 Come to join us for the April Newcomers' Event at PRESSROOM Bar in the INK Hotel based in the heart of Amsterdam. 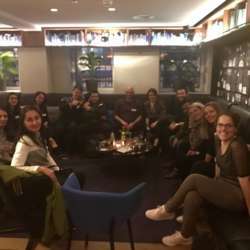 Our Newcomer’s Events are small get-together's that are organized once a month especially for the members who are new in our Amsterdam Community. Therefore this is a great opportunity for you to meet others from the InterNations community who are in the same shoes. This event is to connect, exchange experiences, essentials to know. 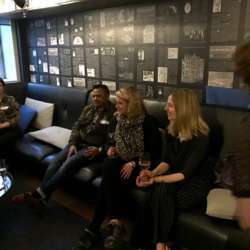 PRESSROOM Bar is located only 5 minutes away from Central Station Amsterdam and 9 minutes walk from Klavestraat Shopping district. It's known for some talented bartenders, shaking up the sweetest, stiffest and most innovative drinks in town, this time to welcome you. Come to join us to mingle and chat about culture, city life, official matters, and we’ll make sure you go home with not only information but new connections in town. There is no admission fee for the event. In case you would like to eat, PRESSROOM Restaurant is offering you a special dinner deal. This evening is guest list only, so please make sure to sign up! Do bring your business cards, so you can make the first new connections and new international friends. We’ll give you a welcome speech around 20:30, so please make sure to arrive early so you don’t miss the start! We look forward to seeing you there on the 17 April!